At the country club, Izzy starts to put two and two together. 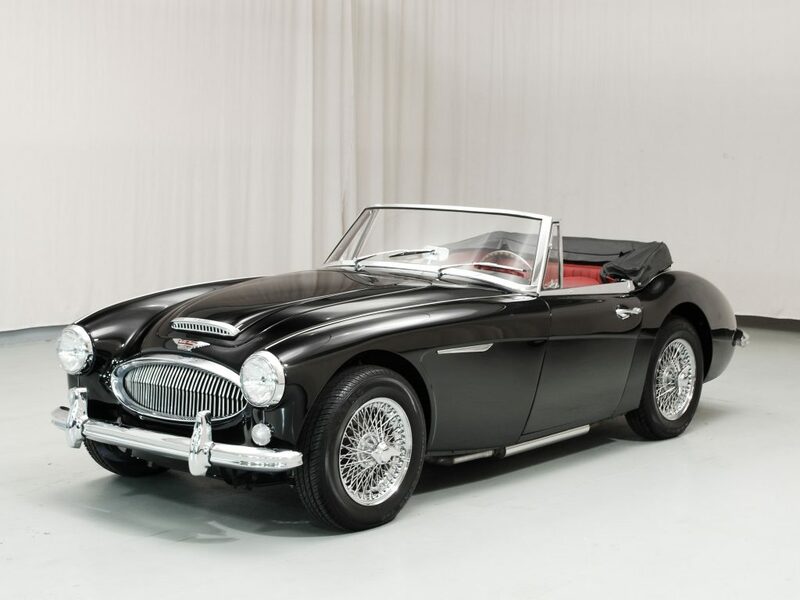 Then, on the way home with his mother, they come across two girls smoking cigarettes in a 1963 Austin Healey Mark III. Two teenage girls wearing bathing suits were smoking in the front seats; the top was tucked under the convertible cover. They were poster children for the good life. The Austin-Healy had an un-American trunk, a half clamshell curving down to the bumper. The brake lights and running lights were mounted on top of each other, where the fin would have been had it been born in the U.S. instead of an Italian design studio. The trunk was well-fitted, with matching chrome hinges at the top and a svelte lock at the bottom. The car was signed in raised chrome script at the lower right corner of the trunk, like a painting. It was the last model in the Austin-Healy line; the Healy part of the hyphenation left the partnership in 1968. The girls held their cigarettes on well-tanned arms out at a distance from the car. There was little doubt what would happen when they became bored with smoking. At the next stop, one after the other, they dropped the cigarettes from their hands, laughed at some joke, and zipped away when the signal changed. “What are we going to do about that?” my mother asked. We caught them at the next light, the last one before the road left town. I was feeling something, and got out of our car and trotted up to the passenger side. They were girls from my school, wealthy, popular girls. They were wearing bikinis, looked fantastic, and knew it. All I had going for me was that I was clearly deranged or, at best, interplanetary. The girls looked at each other and laughed, two princesses tucked in soft brown leather. “Where else could we put them?” the driver said, looking down at one another’s bikini tops. “We didn’t want to get ashes all over.” And they were gone. I waited for my mom to roll ahead and pick me up. I was picturing a Frenchman with a slide rule trying to figure out how to cover and support key female features with as little fabric as possible. “We started testing nuclear bombs on Bikini right when the swimsuit was invented. We set off 23 bombs; the last one was just 10 years ago.” My mother pulled a cigarette out of her purse and lit it. “The U.S. government this week said it is now okay for the people who lived there to go back.” She inhaled and blew smoke out the window on her side and then looked at me. “Promise me you will never go anywhere that’s been used for testing nuclear bombs, no matter what the government says,” she said. “I can tell you one thing,” she said, tapping ashes into the ashtray.